[toc]Cardiomegaly or an enlarged heart is usually asymptomatic, but certain symptoms can be associated with it ranging from panic attacks, heart palpitations to heart failure. Doctor may suspect it based on atypical signs and symptoms and then several tests are performed for diagnosis of enlarged heart. In absence of clear cut symptoms, diagnosis is all the more crucial in lieu of any farfetched signal of the disease too. In an enlarged heart muscles may get thickened from extra work load or get weakened due to occurrence of certain heart disease or injury to heart muscle from any recent heart attack. Properly diagnosis is utmost important as otherwise it can progress into major life threatening problem. Monitoring and diagnosis of an enlarged heart can be efficiently performed through an echocardiogram. This test helps in evaluation of interior portion of all four heart chambers of the heart and determining whether they are in their right size. It also helps to analyze affects of past heart attacks, assessing heart valves, checking for congenital heart defect and monitoring efficient pumping of the heart. 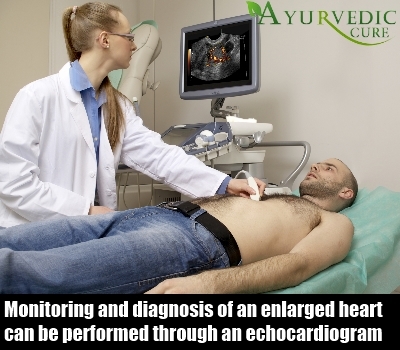 The echocardiogram utilizes sound waves to produce detailed image of the heart. 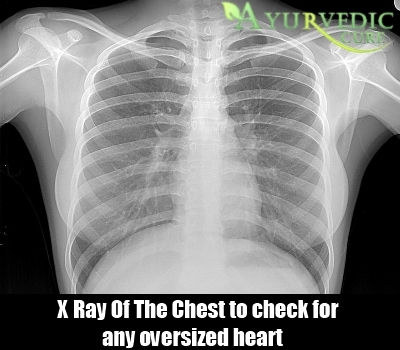 Foremost step in diagnosis is getting a chest x-ray performed under the supervision of a cardiologist, to check for any oversized heart as compared to rest of the internal organs. This could be the first confirmation test of an enlarged heart, but still one need to undergo more tests to identify the root cause of enlarged heart. Electrodes are attached to skin to record electrical impulses of the heart that appear on cardiogram as waves. 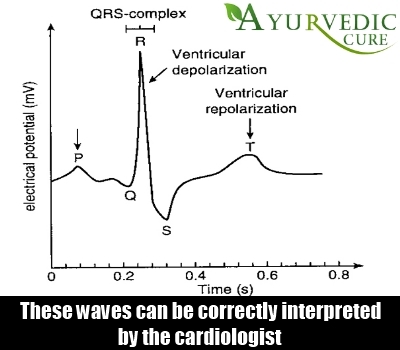 These waves can be correctly interpreted by the cardiologist as whether heart is beating efficiently or not. It helps to diagnose any heart rhythmic problems or damage of heart muscles due to heart disease. 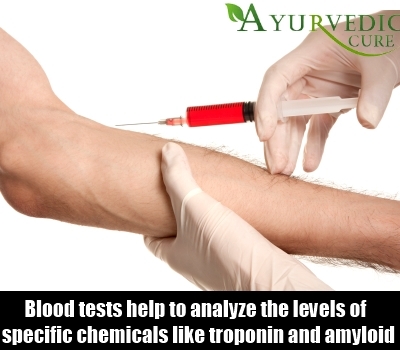 Blood tests help to analyze the levels of specific chemicals like troponin and amyloid (amyloidosis) that gets released when heart tissues undergo damage and results in enlargement of heart. Moreover, with blood tests all factors associated with heart problems get analyzed to determine the right treatment plan, after correct diagnosis of the root cause of enlarged heart. It also rules out if the observed symptoms may be due to some other ailment. In cardiac catheterization, a small tube or catheter is inserted in the groin region and pushed in up to the heart to determine the pressure of the heart. Then a piece of heart tissue is extracted out as part of biopsy to analyze any abnormality within the heart. 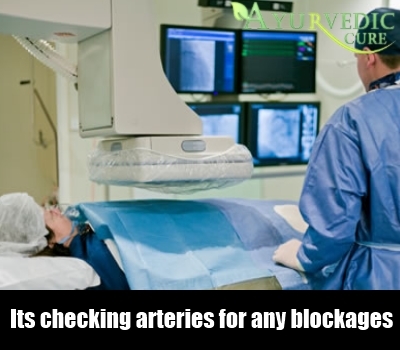 It also aids in checking arteries for any blockages that can be the root cause for hard pumping of heart that may result in an enlarged heart. 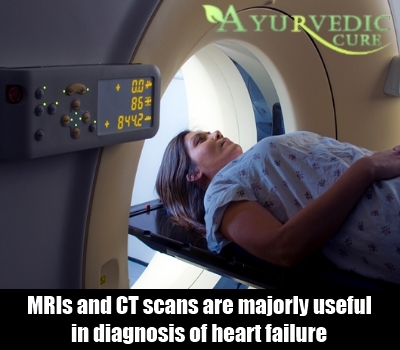 Though MRIs and CT scans are majorly useful in diagnosis of heart failure, but these are even performed to diagnose other heart troubles like enlarged heart to diagnose it efficiently. CT scans produces X ray image of chest and heart, and MRI make use of radio waves and magnetic fields to generate image of the heart. 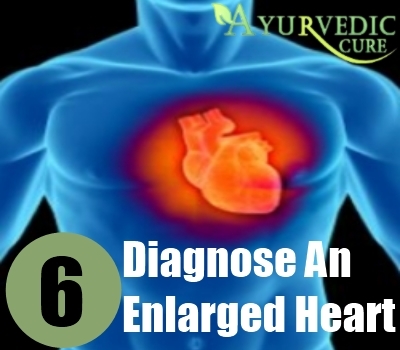 Together these tests help in visualizing the size of heart and ensuring the extent of enlargement of the heart.